OKTOBERFEST returns to West Acton Village on Saturday, September 29th! In addition to sidewalk sales throughout the village, all variety of vendors will be set up in Gardner Field on Rte 111/Mass Ave, across from the Villageworks. Marx Running is hosting at 5K road race at 9am, and then festivities begin at 10am. Live bands will be playing all day long, including special performances from groups like Theatre III. Bounce house and playground available for younger kids. Food and drink will be provided from local favorites such as Legend Cafe, Orange Door Kitchen, and New London Pizza. This year TrueWest will be hosting a Beer Tent (over 21 only), where they will be selling beer along with Pony Shack Cider with some lawn games. Stamm and Black will be participating in the upcoming pro.found vintage market on Sept 22nd and 23rd in Lancaster, MA! Stamm & Black will have a booth full of home decor, local art and jewelry, furniture, plants and more! Rain or shine. Purchase tickets in advance here or get tickets at the door. Cash only. Fun & unique vendors! Food trucks! Live entertainment! Join True West Brewery at deCordova's annual campus-wide celebration Park Fest on Saturday, June 23! The event kicks off with a 5K trail run in the morning, followed by a day-long outdoor festival for all ages. 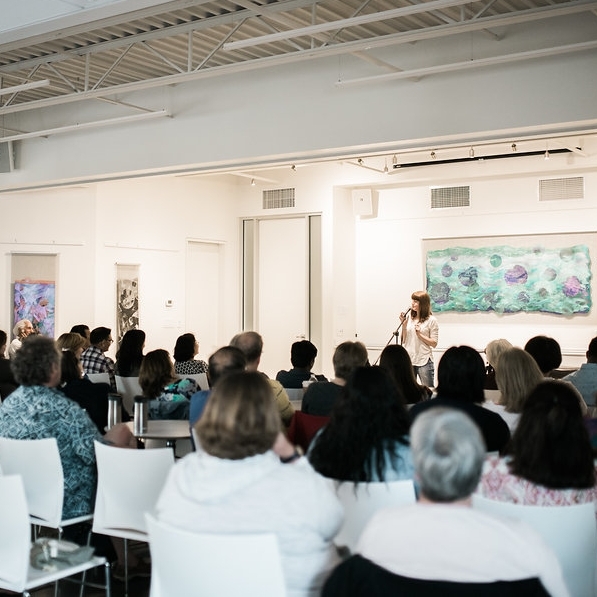 Enjoy live music and dance performances, have fun with art-making activities inspired by deCordova's spring exhibitions (including a giant parachute painting project! 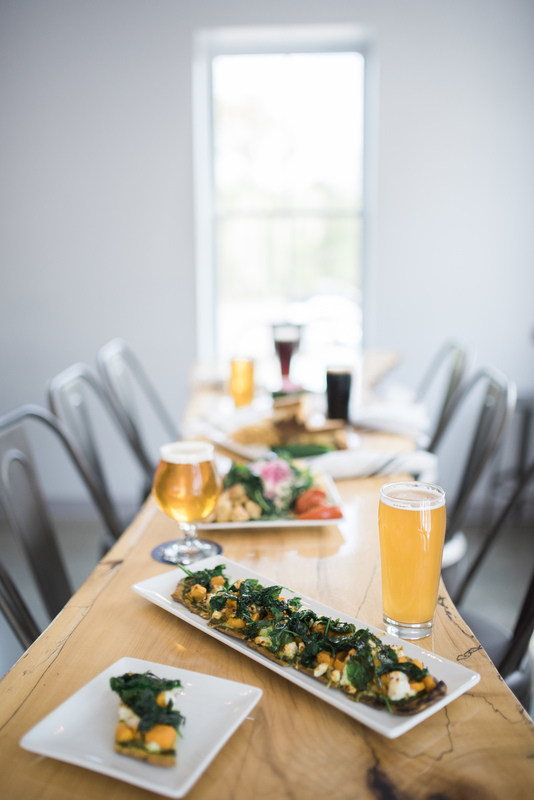 ), observe ceramic studio demonstrations, shop at a local arts and crafts market, play mini golf, treat yourself to Ben & Jerry's, and grab a bite to eat or a beer from deCordova Café, Compliments Food Truck, and True West Brewery! Details and tickets at decordova.org/park-fest. Orange Door Kitchen is teaming up with our friends down the street at The Silver Unicorn Bookstore for a discussion with author and activist Pam Lowell. Pam will share stories of grassroots activism through the lens of her new cookbook, The Resistance Cookbook: Nasty Women and Bad Hombres in the Kitchen. The book is a collection of 100 recipes contributed by members of Action Together Massachusetts(ATMA), the state-wide social and political action organization borne out of the results of the 2016 Presidential election. A sweet treat cooked from the book will be provided by Orange Door Kitchen. This event is free to the public, all are welcome to join the conversation! West Acton Village Merchants Association's Oktoberfest! The West Acton Village Merchants Association's Oktoberfest is back in West Acton Village! While raising funds and awareness for the Acton Food Pantry, OKTOBERFEST is a West Acton tradition that happens in the heart of our community. 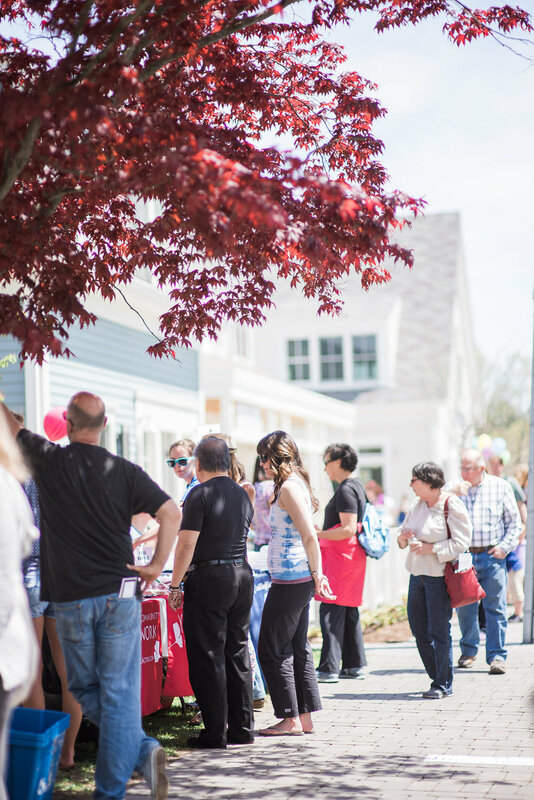 This year there will be over 40 businesses, non-profits, artists, and more set up in Gardner Field, along with sidewalk sales and promotions happening throughout the village. A 5K hosted by Marx Running will start at 9am. There will be live music from local bands, bounce house and games for kids, prize wheel, a beer garden across the street at TrueWest, and more. Rain date is Sunday, October 15th, same times. Come to Gardner Field Playground and enjoy & explore all that your growing community has to offer! We are so lucky to have a regularly rotating art exhibit in the 537 Gallery that features work from the artists of Acton Open Studios. On October 15th and 16th 2016, Acton Open Studios hosts its annual "open studio" event in the numerous artists' studios located around town. Visit their website for maps and more information at actonopenstudios.org. The Acton-Boxborough United Way hosts this 5K road race in conjunction with the West Acton Business community and its Oktoberfest annual event. The Oktoberfest Em-Power 5K and Kids mile will benefit programs dedicated to the mental health of our teens. We are proud sponsors of the Acton-Boxborough Farmers Market, located just down the street from us! Come to Pearl Street in West Acton Village every Sunday from June 12 - October 23 from 10am-1pm for fresh food, music, and friendly faces! The 2015 West Acton Village Fall Frolic is presented by the West Acton Merchants Association. Stay updated at https://www.facebook.com/pages/West-Acton-Merchants-Association/1522730941290483. The ABUW is pleased to sponsor the 5th Annual Day of Caring in the Acton-Boxborough community on Thursday, October 1st. Any business, community group, or individual is welcome to participate and/or sponsor this event. Please contact Rachel Sagan at abuw@abuw.org for more information. From the ABUW website: The ABUW Day of Caring is a special opportunity to make a difference where you live and work...Individuals from organizations large and small spend the day sprucing up non-profit agencies, reading to a disabled child or sorting and packing food or furniture donations...The United Way Day of Caring demonstrates what people working together can accomplish for our Community’s benefit. Learn more about how to get involved at the Acton-Boxborough United Way website. Join Yoga teachers from Revolution Community Yoga for this special event as Acton Recreation hosts its first outdoor yoga class under the starry night sky and full moon of course! This Pure Power Flow class will be dedicated to synchronizing our breaths with the water and energy of the moonlight that surrounds us! Bring your mat, water bottle, your yoga buddies, a flashlight and bug spray! The Relay For Life benefits The American Cancer Society. Join the fight against cancer by joining the Revolution Community Yoga Fundraising Team! Looking for a break from your busy schedule? Looking to have a really good meal? Looking for a way to fight back against cancer? If you answered “Yes” to any of these questions, then come join Relay For Life of Acton-Boxborough for its Kick-Off event! Be sure to bring the coupon with you to have a percentage of the sales donated back to Relay! Present this coupon to your server and your cause will receive 15% of your total purchase* every Tuesday during February 2015. St. Elizabeth of Hungary (SEOH) will hold a Helping Hands meal-packaging event to send emergency food to Burkina Faso in West Africa in support of Catholic Relief Services long term programming to eliminate world hunger. SEOH has set a goal to package 10,000 meals with 100 teens and adults participating in this lively, hands-on educational event for the community. All are welcome to participate! Danny’s Place Youth Services will co-sponsor this event as we encourage youth to help not only those in their local community but also to help vulnerable populations in the world. It is in our coming together that gives us the opportunity to create a better world. Acton Boxborough Regional PTSO, Acton-Boxborough United Way and Danny’s Place Youth Services announce our 2015 featured speaker. Michelle Gielan, Positive Communication expert, will speak to the AB community on Thursday, January 15, 2015 at 7 PM in the ABRHS auditorium. Michelle is a nationally renowned expert on the science of positive communication and the founder of the Institute for Applied Positive Research, as well as a former news anchor for CBS News. During this interactive presentation, Michelle will explain how each of us can broadcast happiness to inoculate our brain against stress and negativity, boost performance, create positive change at school and home, and make positive messages go viral. This presentation is geared to 7th to 12th grade students, parents/guardians and faculty. Free (suggested donation of $5 per person to support community forums). There will be a complimentary dessert reception in the West Commons immediately following the presentation. We are proud sponsors of the Acton-Boxborough Farmers Market, located just down the street from us! Come to Pearl Street in West Acton Village every Sunday from June 15 - October 14 from 10am-1pm for fresh food, music, and friendly faces! The West Acton Merchants Association is hosting a new event for West Acton Village! The Fall Frolic will be held from 10am-10pm on Saturday, October 4th. Stay tuned to the West Acton Merchants Association facebook page for more details!